The four-people group led by Mo Wen weaved through the forest slowly and aimlessly. They would live in the forest for three days. After three days, a helicopter would come to pick them up and leave. w.a.n.g Yuan and Qin Xiaoyou, who had always lived in the big city, had a lot of curiosity towards living out in the forest. However, even though the forest had the endless scenery of nature, it also withheld many dangers. Just as w.a.n.g Yuan had said, if one's luck was bad, it was possible to even meet a forest tiger. However, the luck of Mo Wen and the others was evidently not bad. From morning till afternoon, no accidents had happened. "Mo Wen, shall we climb the mountain in the afternoon?" Qin Xiaoyou hopped and ran her way over to Mo Wen's side and pointed to a large mountain not far away as she said this, her face full of excitement. "That mountain is still far away," Mo Wen said helplessly. If he was given the choice, he would have definitely chosen a more comfortable area to just get past the three-day period instead of running all over the forest. Leaving out the fact that they would tire themselves out, the possibility of them running into a bad situation would also be very possible. Although the mountain looked as though it was very near, it was unclear how long it would take to just reach the foot of the mountain. "Let's go, I really feel like climbing a mountain." Qin Xiaoyou scrunched up her small face and looked at Mo Wen pitifully as her b.u.t.tery voice penetrated into his bones. "That's right, I'm all for climbing the mountain. We have to find something to do anyway. Sitting around for three days and not doing anything is too boring," w.a.n.g Yuan said, immediately voicing his opinion. Mo Wen's gaze fell on the male student who had remained silent throughout. After half a day of being together, he had found out that his name was Liu Guangwen. However, other than his name, he did not know anything else. From beginning to end, he seemed like he did not want to talk to Mo Wen. "I don't mind." Liu Guangwen did not object, as he nodded slightly. "Since no one minds, let's get going. Hopefully, we will be able to reach the foot of the mountain before the night gets dark," Mo Wen said helplessly. 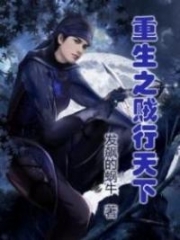 After Mo Wen had agreed, Qin Xiaoyou and w.a.n.g Yuan immediately packed up their belongings excitedly and followed Mo Wen into the deeper parts of the forest. Walking through the forest was, naturally, not an easy task. They had just walked for several kilometers when Qin Xiaoyou started to complain incessantly. However, the past month of military training had not been for nothing, so she continued to grit her teeth and persevere on. In the evening, as the sun was setting, the line of four led by Mo Wen had finally arrived at the foot of the mountain. "Goodness gracias, I'm dead tired." Qin Xiaoyou's face was full of fatigue as she leaned against an ice-cold rock, borrowing the rock's coolness to rid herself of the summer heat. On the walk over, everyone was covered in an entire body of sweat. Qin Xiaoyou, who was picky about her personal hygiene, had started to whine for the chance to bathe. In the end, Mo Wen scared her by saying that there were poisonous snakes and piranhas in the water so she did not dare to enter the river anymore. "Tonight, we will pitch a tent and rest. We will ascend the mountain tomorrow morning. I will go and get some food." Mo Wen looked up at the sky. Evidently, it would not be easy to ascend the mountain at night. 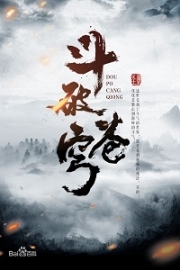 After shooting w.a.n.g Yuan a look to get him to look after Qin Xiaoyou, he entered the forest alone. He was not at all worried about the safety for the other three left behind. Other than Qin Xiaoyou, w.a.n.g Yuan and Liu Guangwen were both ancient martial art pract.i.tioners, so they had very strong defense abilities. The military had provided a day's worth of food. By now, however, they had essentially finished them off. After all, being active in the huge mountains depleted one's energy very quickly. The food for the night was clearly insufficient. Qin Xiaoyou and the others started to source for a suitable area to pitch the tent. Pitching a camp was a very profound skill as well. To have a comfortable night's sleep, the right place had to be found. By the time Mo Wen had returned with several rabbits, the tent had almost been pitched. It was left only with Qin Xiaoyou, still busy with pitching her tent. He found a rock pit that would not cause an inferno, without gra.s.s and trees surrounding it to start a fire. Looking at the cute little rabbit in Mo Wen's hand, overwhelming sympathy washed over Qin Xiaoyou. "Aw, it's such a cute little rabbit. How can you have the heart to roast it? You're too cruel." "Then don't eat it later," Mo Wen rolled his eyes at her. "I won't eat it then." Qin Xiaoyou let out a light hmph and stretched out her hand to reach for some dry foods in her bag. She squatted by a rock and started biting into it furiously. The bag had quite a lot of dry foods and appeared to be enough for the night. Qin Xiaoyou finished the food meant for the four of them the slowest. After all, a girl's appet.i.te was not big. Mo Wen rolled his eyes. She would not think like that once she became hungry. The most worthless thing in the forest is one's sympathy. One had to abide by the rules of the jungle in order to continue surviving. "I'll go and deal with the rabbit." w.a.n.g Yuan sensed that the atmosphere was a little off. He picked up the two rabbits and ran off to look for a water source. Before roasting the rabbit, one had to get rid of the intestines and outer fur. After a full meal, the night sky had completely taken over. After a tiring day, w.a.n.g Yuan and Liu Guangwen had long retreated into the tents and were in a deep sleep. 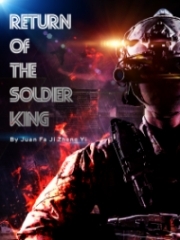 Mo Wen had doused the last of the flames and found Qin Xiaoyou standing behind him when he turned around. "What happened?" Mo Wen asked in surprise. Qin Xiaoyou had previously already retreated into her tent as well. "Mo Wen, I can't fall asleep." Qin Xiaoyou looked a little aggrieved as she sat on a rock. "So what can make you fall asleep?" Mo Wen sat beside her helplessly. He knew that Qin Xiaoyou would not be accustomed to such things, since it was her first time climbing a mountain. "I don't know." Qin Xiaoyou furrowed her brows, and the moment she thought of the fact that she was deep in the woods, she could not fall asleep at all. "How about taking a bath?" Mo Wen thought about it. Girls loved being clean, so it was normal to be unable to fall asleep having not bathed. "Aren't there snakes in the river? And piranhas?" 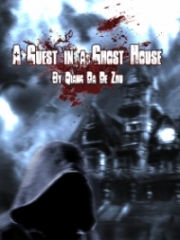 "There shouldn't be any at night; they've all gone home to sleep," Mo Wen blinked his eyes and answered. "Only ghosts would believe you." Qin Xiaoyou rolled her eyes and said, "I'm not going to bathe." She knew that going into the river to bathe would just create unnecessary trouble for everyone. Everyone in the whole team was taking care of her. No wonder the military had specified for three boys and one girl to be in each group. If four girls were in a group, she would not know what would happen to them in the forest. "Who's that? Come out now." Mo Wen suddenly raised his eyebrows and stood up from the rock in a moment. He flicked his finger and a small pebble flew out, headed towards the dense shrubbery far away. A blood-curdling scream rang out from behind the dense shrubs. Immediately following that, a figure suddenly came out from behind. "You must be tired of living, boy." The person had one hand covering his eye and fresh blood was flowing out through the cracks of his fingers. The acute pain had contorted his expression. After that figure appeared, another five to six people followed behind. Mo Wen's face grew slightly solemn. Those people were not normal people; they were all ancient martial art pract.i.tioners. Why would they appear here? And they even had him surrounded! The noise from outside had evidently alerted the two people in the tents. w.a.n.g Yuan and Liu Guangwen came out from within. The moment they set eyes on the five to six figures, their expressions changed slightly. Qin Xiaoyou's expression was also tense. She picked up a wooden stick from the ground and hugged it tightly, cautiously looking at the people of unknown origin. The forest was not like the cities outside. n.o.body would even care if they committed murder or arson. "Who are you people?" Mo Wen asked as he furrowed his brows. "The King of h.e.l.l who has come to take lives." A person who was of a short stature walked out from the group. His voice was cold. This person was roughly only 5 feet and 2 inches tall. He was a middle-aged person of about 45 years old, and his face had several savage scars. With one look, it was obvious he wasn't a kind person. His gaze scanned across Mo Wen and the other three before finally fixing itself on Liu Guangwen. "You are here indeed. Let's see if you can still run anywhere today." The cold voice came out of the middle-aged guy's mouth. It appeared that he had come specifically for Liu Guangwen. Immediately, the gazes of Mo Wen and the others fell on Liu Guangwen. 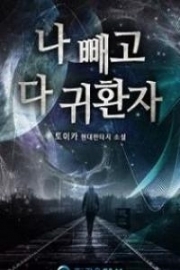 You're Read Invincible Kungfu Healer Chapter 46: Running Into Danger online at NovelOnlineFull.com. You can use the follow function to bookmark your favorite novel ( Only for registered users ). If you find any errors ( can't read,broken links, can't load photos, etc.. ), Please let us know so we can fix it as soon as possible. And when you start a conversation or debate about a certain topic with other people, please do not offend them just because you don't like their opinions. 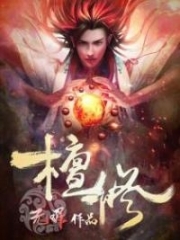 You're reading Invincible Kungfu Healer. This manga has been translated by Updating. Author(s): Azuresky. Already has 910 views.